Dismaland Videos – Explore Banksy’s Theme Park With our Selection of Moving Pictures! 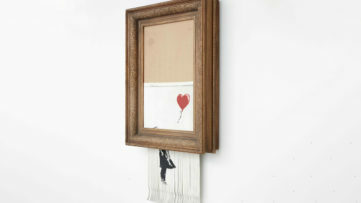 Everybody is talking about Banksy’s theme park. It’s not breaking news anymore. Still, many are still wondering what it looks like. In this article, we are presenting some Dismaland videos , so you can create some kind of image. One week ago, we were posing a question where Banksy might had been. This week, we found out what was Banksy doing and preparing all these months. 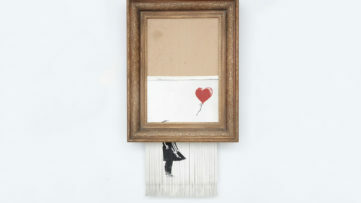 First rumors about Banksy preparing a secret exhibition near Bristol appeared couple of days ago. Three days ago, it was official – Dismaland Theme Park is opening, with some quite amazing distorted version of Disneyland attractions. Maybe we should not exaggerate, but Dismaland is probably the biggest and the most spectacular intervention by Banksy in his entire career. 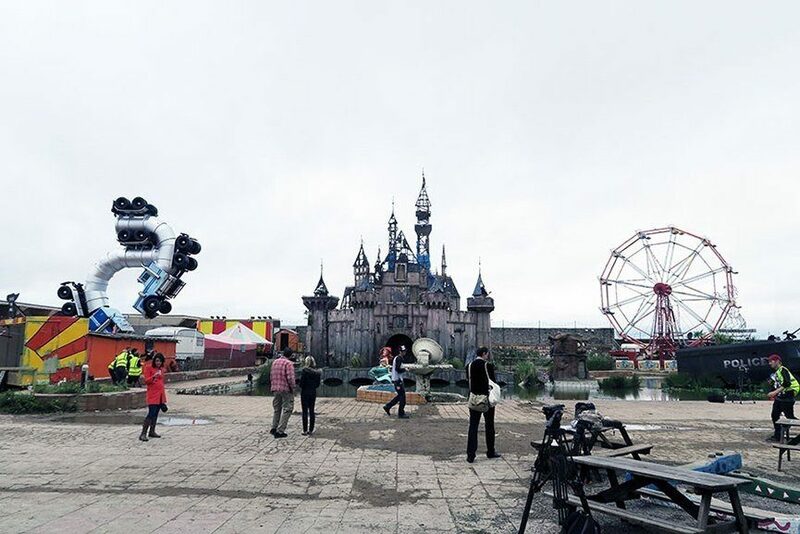 However, let us see some Dismaland videos , with views of the Banksy’s theme park from inside. Cinderella’s castle, a model village and a cinema; dead princess, twisted truck sculpture – these are only few of dozens of “attractions” you will find inside the 2.5 acre site of the Tropicana lido, where Dismaland is located. Take a look at some videos! 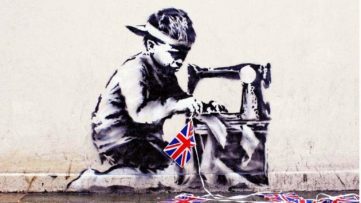 Banksy’s new intervention is full of political satire. It might look funny, but the whole theme park can actually be perceived as a criticism towards contemporary consumeristic society. 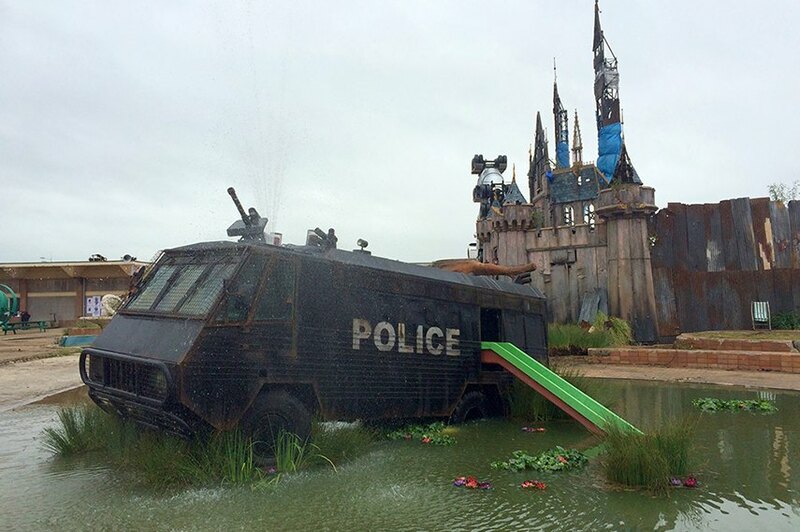 Among many “attractions” of Dismaland (or should we say artworks) are Cinderella’s Castle and small pool full of water with a toboggan and a police car. Definitely sounds weird, but take a closer look! Finally, let’s recapitulate one more time. 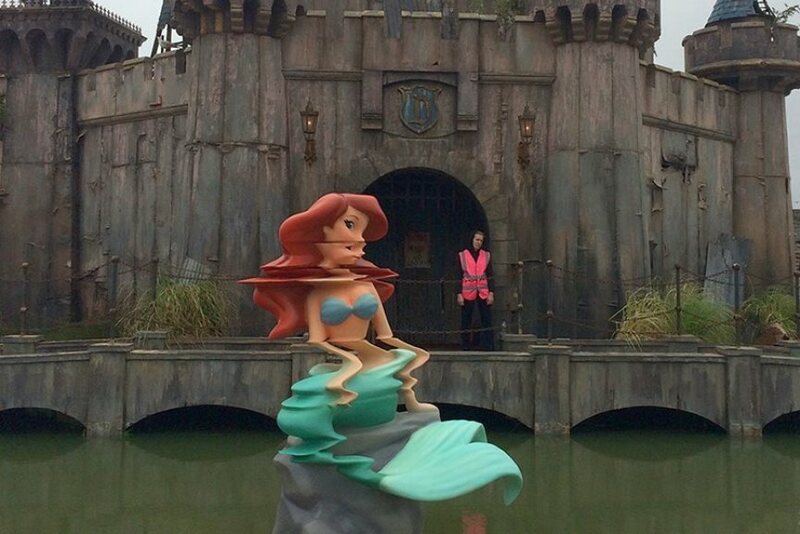 Dismaland – the latest masterpiece by the street art king will be opened until September 27th. Tickets are limited and cost three British pounds, while children under the age of five can enter for free. Don’t wait, book your ticket! For more information, visit the official site of Dismaland. All Images used for illustrative purposes only!